1. No combat ready unit ever passed inspection – West Point cadets endure lots of inspections. From daily uniform checks to white glove room inspections called SAMI (Saturday Morning Inspection), by default every cadet becomes a master shoe shiner and sink scrubber. If at any time you failed to meet Academy standards, you could get written up and ultimately end up walking hours on the area as punishment. No matter how “squared away” you were, most cadets end up walking at least a few hours over their four years as you are constantly juggling many priorities and eventually balls are dropped. Thus, cadets get very good at prioritizing what is most important. With only so many hours in a day, sometimes studying for the big exam or writing that important paper meant you would likely be written up for an untidy room or uniform. The same goes for leaders today. It’s important to get the big stuff right — always. You might take a few bruises along the way, but in the long run, your ability to stay focused on what’s most important will pay off. 2. Trust but verify – In their second year at the Academy, every cadet is assigned a first year cadet (called a plebe) as a direct report. For many, this is their first opportunity to lead someone on a daily basis. You are responsible for your plebe’s performance and quickly learn to conduct periodic inspections to ensure discipline and proper accountability. While subordinates in today’s organizations don’t want leaders hovering over their shoulders and inspecting their every move, they do expect you to check-in with them often and acknowledge their hard work. Train your team, trust they will deliver, and then verify standards have been met. The act of verification is important because it validates your leadership priorities and helps to clarify expectations for the team. 3. The only dumb question is the one you don’t ask – As a first year cadet in particular, success is often clouded with mystery. There is so much to learn and so little time to learn it all. Then, just when you think you have figured it all out, you are challenged with new tasks that make you feel like a novice again. To survive this intense period of learning, you must accept your vulnerabilities and lean into others for support (we used the saying “Cooperate and Graduate” as a reminder). Leaders today must do them same. No one expects you to have all the answers in this fast changing and complex world we live in. Instead, leaders should practice an impassioned curiosity and have the courage to say “I don’t know” when appropriate. The irony being, in admitting our vulnerability we often find the answers and/or develop the very competence we are seeking. 4. Always understand your mission two levels up – A key philosophy of U.S. Army operations is that in the absence of specific direction, any soldier should be able to take initiative and complete the mission. To support this concept, every officer learns to embrace their Commander’s Intent, as well as their next level Commander’s Intent. It might seem like overkill but in the fog of war, intent is the glue that keeps a unit together. The corporate world is no different. For a leader to be successful, they need to make their supervisor and their organization successful. Clearly understanding your bosses’ definition of success, daily priorities, and leadership philosophy is a must. 5. Mission first, people always – This popular Army slogan represents much of what a cadet does on a daily basis until it philosophically permeates every bone of their body over time. From simply checking on your subordinates feet while on a long road march, to never leaving a soldier behind on the battlefield, cadets practice balancing mission execution with taking care of their people’s needs. Leaders in the corporate world should also embrace this philosophy. Talent is the single greatest differentiator in the marketplace today and every organization’s greatest asset is its people. Successful business leaders understand how to manage the stresses of short-term stakeholder expectations while continuously being mindful of employee needs and concerns. Thus, in addition to the behaviors noted in part one, great leadership is also about rigorously maintaining priorities, holding others accountable to standards, being a life-long learner, exercising initiative through intent, and taking care of your people at all times. 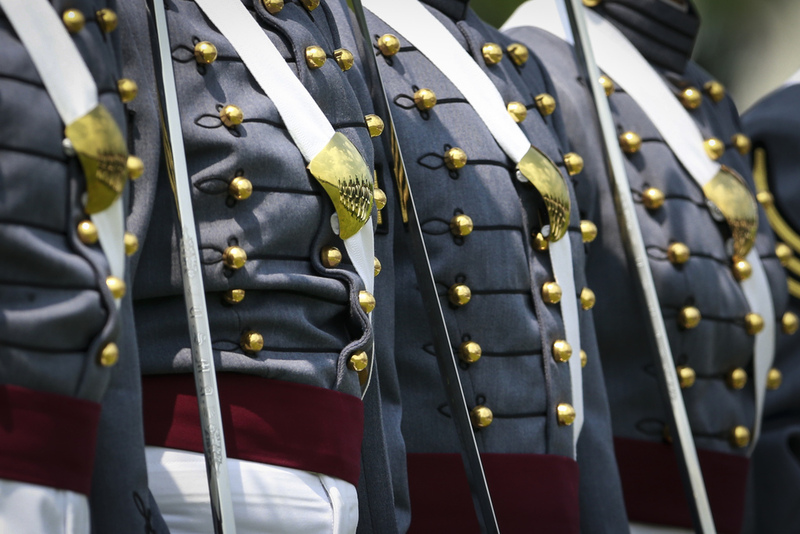 It’s worth repeating that you don’t have to go to West Point to learn these lessons. Anyone can adopt these behaviors and become a better leader. Practice these behaviors consistently and watch your personal, team’s, and organization’s success exponentially increase. This entry was posted in Leadership, Self-Awareness and tagged Accountability, Cadet, curioisty, Decision-making, Humility, leadership, leadership behaviors, Military Leadership, mission, Prioritization, Servant Leadership, Veteran, West Point by David Spungin. Bookmark the permalink.